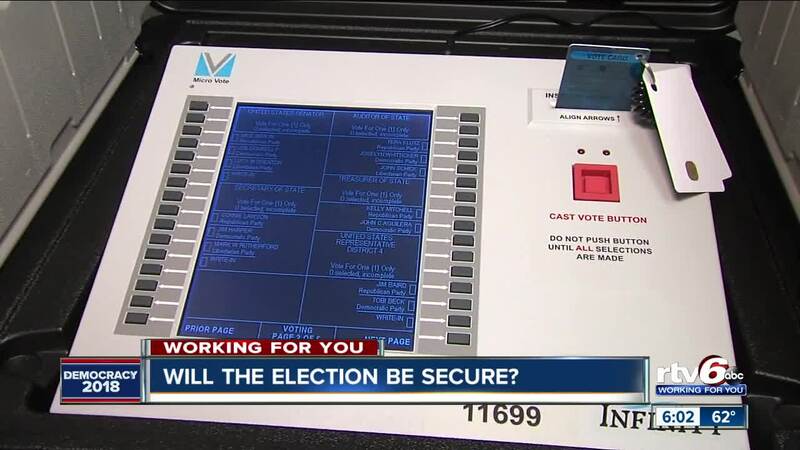 Voting Security: Are Indiana's voting systems ready for the November's elections? Secretary of State Connie Lawson is charged with the responsibility of overseeing elections, and she says all systems are ready to go and her office is on top of the latest recommendations. INDIANAPOLIS -- The mid-term elections are coming up in just over a month, and we’re taking a look at voting security in the state of Indiana to see just how ready the state is to handle your vote and keep it safe. Most, but not all, Indiana counties have a paper trail to back up votes cast on machines. That is one of the things Lawson says she wants to improve before the presidential election in 2020. If you’re not registered to vote, you still have time. The deadline to register to vote in Indiana is October 9. You can get more information on what you need to register and where you can do it at online at the Indiana Election Division .